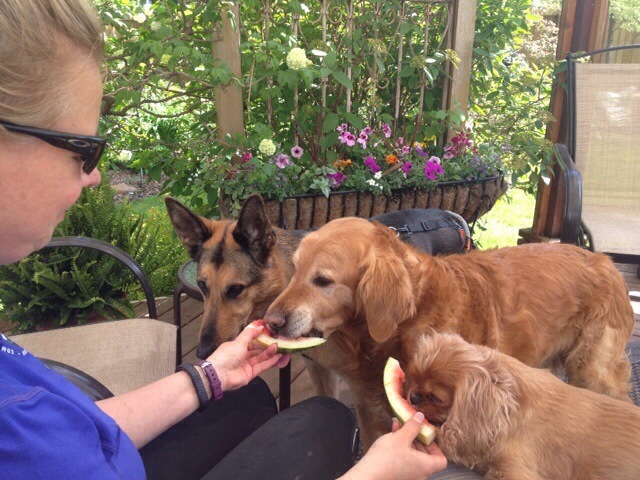 I haven’t seen dogs eating watermelon. This is interesting! Looks like you need another hand to hold more watermelon! ahhhhhhhhhhhhhhhhhh, hope summer is here to stay!!!!!!!!!!!!!! Cute pic….